Family law cases unavoidably involve sensitive and personal issues that may seem impossible to resolve in an amicable or civil manner. Traditional litigation does offer the advantage of handing the dispute to a judge to decide the outcome, but it also brings the negatives of impersonal resolutions and opening the details of one’s private life to the prying eyes of the public. Many people are starting to become more aware of less contentious alternatives, and actively seeking out ways to settle family law disputes in an environment other than the sterility of the courtroom. Mediation is a popular alternative to litigation that allows families to address their legal issues privately, and under a system that promotes cooperation and workable solutions. Mediations generally involve, other than the parties’ themselves, a mediator and each side’s attorney if they have one. The role of the mediator vis- à-vis the attorneys attending mediation sessions with a client is quite different, but equally important. Working with an attorney who has experience as both a mediator and an attorney representing clients in mediation is an unusual combination that gives the client a greater ability to fully take advantage of the benefits of this process. Attorney Donna C. Hung is such a person and has worn both hats in family law cases. Thus, she provides two important services to parties involved in family law disputes that are related but do not overlap. To better understand what she offers, a discussion of how the role of the mediator differs from legally representing clients in the mediation process will follow below. 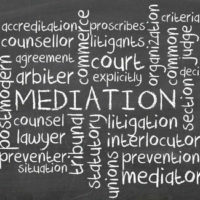 Mediators are the glue that hold mediation sessions together, and provide such an essential role in this process that they must be specially trained and certified by the state before they can act in this capacity. Mediators must always be impartial and neutral participants there solely to help the parties reach a compromise. Consequently, an attorney serving as a mediator cannot also represent a client in the same dispute. During the mediation sessions, the mediator will listen to offers from each party, and present them to the other side, while focusing on the advantages of finding a middle ground. Sometimes, mediators will counsel a party on issues they may want to concede to so a settlement may be reached. If the mediation sessions seem to be progressing toward compromise and agreement, the mediator will continue to hold them until all issues are settled. If negotiations are not advancing, the mediator will end the process, and if applicable, report to a judge both parties attended, but no settlement was reached (mediation is often court ordered in family law cases). By contrast, when an attorney represents a client in mediation, he/she is completely focused on what is in the client’s best interest. As a result, when an offer comes from the party, the attorney’s job is to advise the client on the legal implications of agreeing to the terms, and not necessarily on the fastest route to a settlement. This does not mean the attorney will actively discourage the client from settling, but rather will be more concerned with ensuring the client’s interests are protected to the fullest extent possible. This advice is especially important if a settlement is reached, as the attorney may not attend the entirety of the mediation sessions, and only see the product of the negotiations. At this point, the attorney will assess the fairness of the agreement to his/her client, and specifically look for issues that could lead to further disputes in the future due to the terms of the agreement or lack of specificity. Contact an Orlando Family Law Attorney to represent you at your mediation or contact an Orlando Family Law Mediator to conduct your mediation. 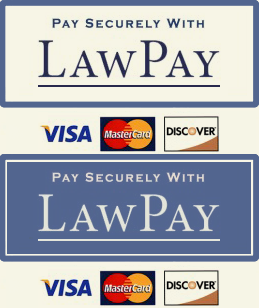 Call the Donna Hung Law Group today at (407) 999-0099 to learn more.